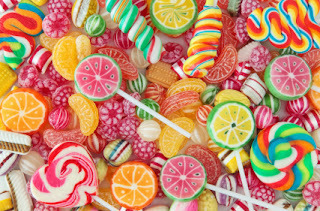 Candy making is a great year-round hobby where you can unleash your creative genius making the perfect sweets for every holiday and event. Valentine’s Day, St. Patrick’s Day and other holidays are just around the corner. While candy makes any day better, you can add a little extra sweetness to your holidays by making your own candy. There are plenty of easy candy recipes. You might be worried that making your own candy will be too difficult and quickly become a nightmare, but home candy making can be as easy or as hard as you want. Sites like Wilton have a huge variety of recipes that you can sort by difficulty level so you can find the recipe that’s perfect for your skill level. You can control the ingredients. Don’t like nuts? Leave them out. Love peanut butter drops in your candy? Toss some in. When you make candy at home, you get to choose the ingredients so you can make candy that you’ll enjoy. Also, making the candy yourself lets you skip some of those more questionable ingredients. Those chemicals you can’t even pronounce can be left out of your candy, making it just a little better for you. It’s fun! Making your own candy can be a fun activity for the whole family. You can work with kids or loved ones to choose ingredients, break up chocolate, fill candy molds and, of course, enjoy the finished product. There aren’t many things better than sharing homemade candy with someone special, so start planning your candy making adventure today. Have you tried making your own candy before? How did it turn out? Let us know in the comments!